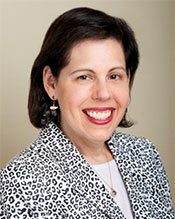 Dr. Jill Bowen has more than 30 years of experience in behavioral health services and management. She was most recently Senior Adviser for Mental Health with the Office of the Mayor in New York City. Dr. Bowen oversaw implementation of “Thrive NYC,” a mental health initiative launched by New York City’s first lady Chirlane McCray in November 2015. Thrive NYC invested $850 million over four years and includes 54 initiatives designed to change the mental health system in New York City. She has previously held senior leadership positions as Assistant Vice President/Chief Transformation Officer for NYC Health +Hospital’s Behavioral Health Services, and at Kings County Hospital as Senior Associate Executive Director for Organizational Innovation and Excellence, as well as for Kings County Hospital’s Behavioral Health Services. Trained as a clinical psychologist, she received her doctoral degree at the Derner Institute for Advanced Psychological Studies/Adelphi University. Her work has included direct care as a member of an interdisciplinary clinical team and supervisory work in clinical and forensic psychology. She was the Deputy Director of the Forensic Psychiatry Service at Kings County Hospital Center before moving on to work as a senior leader within Behavioral Health, focusing on strategic planning and process improvement. She is gold-level-trained in lean improvement methodology and played a significant role in the development of initiatives that contributed to wide-ranging behavioral health clinical and operational improvements at Kings County Hospital Center. She is co-editor and co-author of the first book exclusively devoted to mental health and lean healthcare, Lean Behavioral Health. Dr. Bowen has an extensive track record in staff development and training, organizational management, and strategic planning. An author and frequent lecturer, Dr. Bowen has also worked in private practice and served as a college professor.